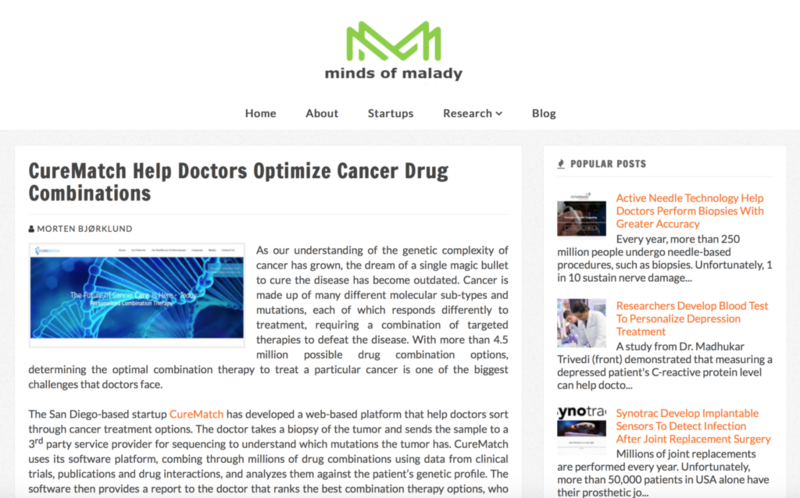 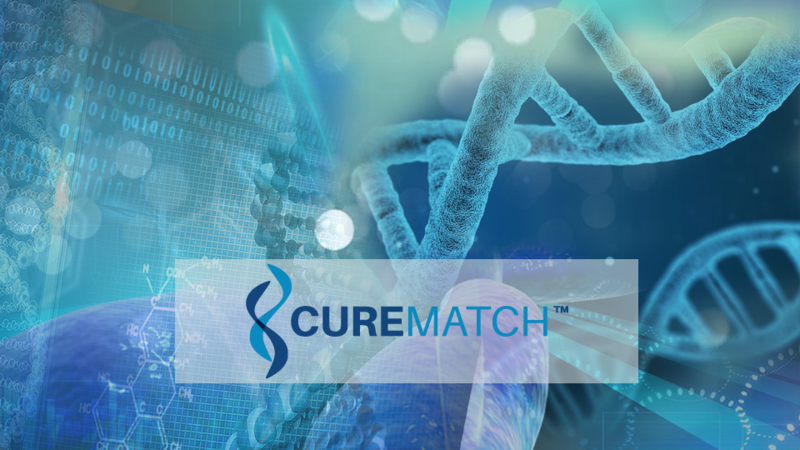 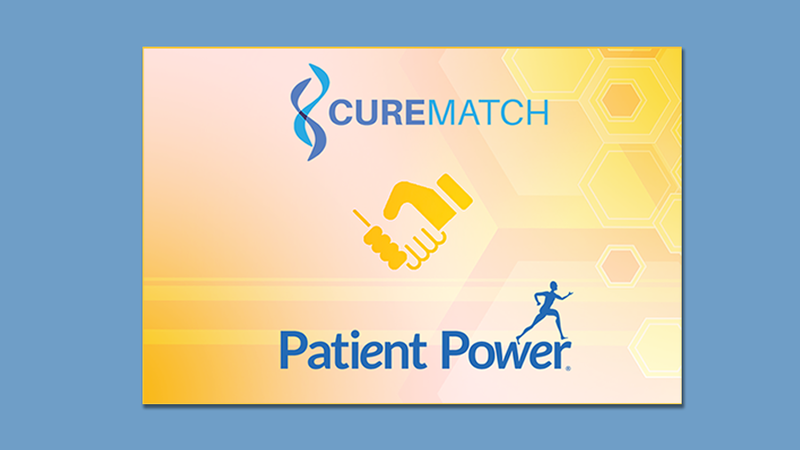 Morten Björklund discusses the challenges of cancer treatment and CureMatch’s new approach to personalized combination therapy, on his healthcare startup blog Minds of Malady. 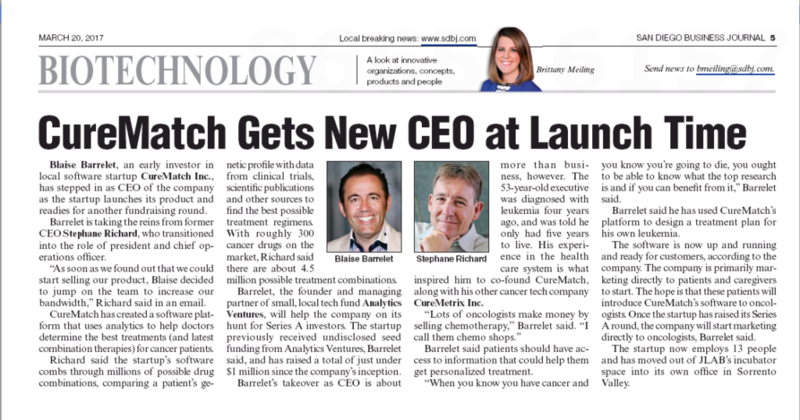 The San Diego Business Journal today discussed the CureMatch product launch and new CEO Blaise Barrelet. 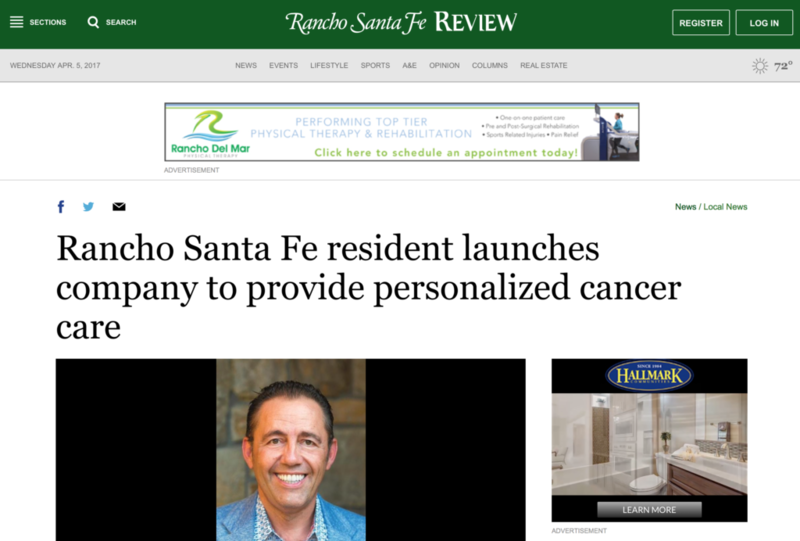 Rancho Santa Fe Review article discusses CureMatch CEO Blaise Barrelet’s personal battle with cancer, and why he decided to found CureMatch.